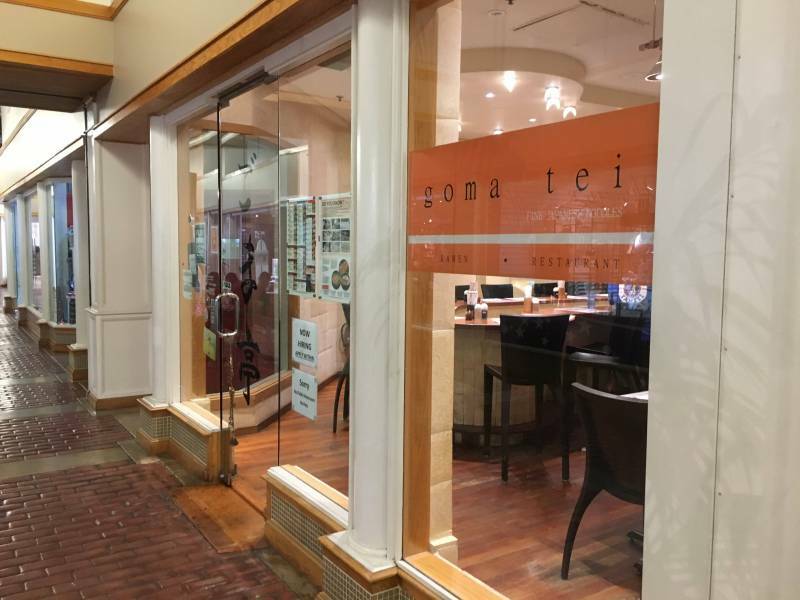 Curious about what to do and where to go in Kaka’ako? 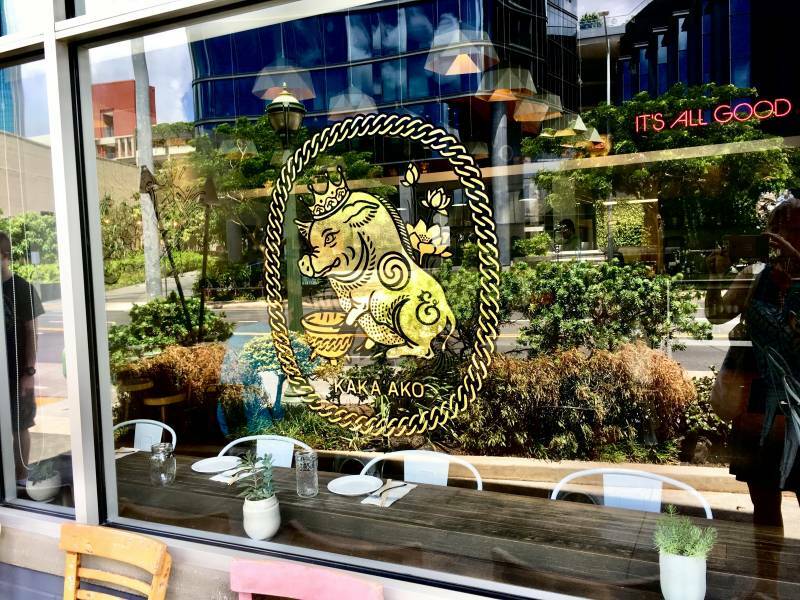 I spent a day in Kaka’ako (read: “I spent a day *eating* in Kaka’ako…”) and put together a list of some of my favorite places below! While Scratch is open for breakfast, lunch, and dinner, their breakfast menu is amazing. We couldn’t decide what to order, so we ordered three dishes to try as many as we could. On top of the delicious food, I am very particular about coffee. The mugs at Scratch are LARGE. 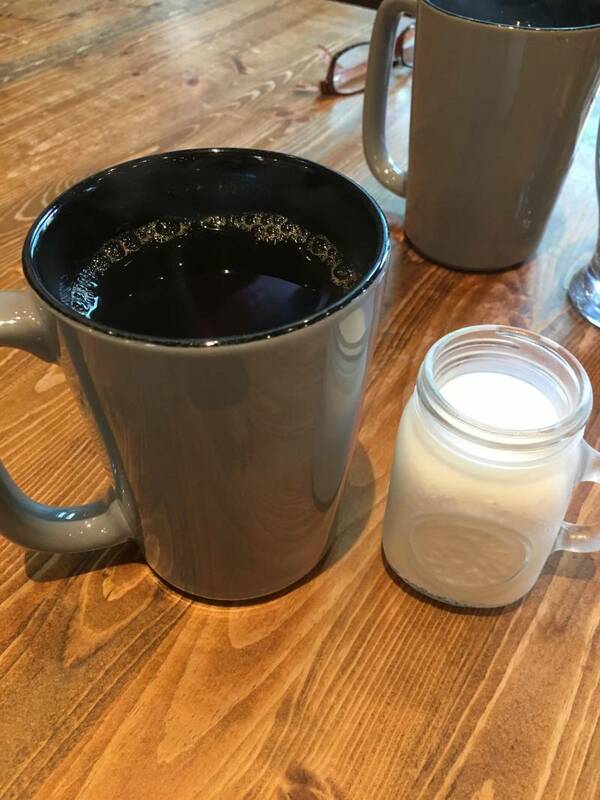 There is nothing worse than sitting down to brunch and being served a skimpy-sized mug of coffee. This was not the case at Scratch. The first dish we ordered was the Marsala Roasted Shrooms. 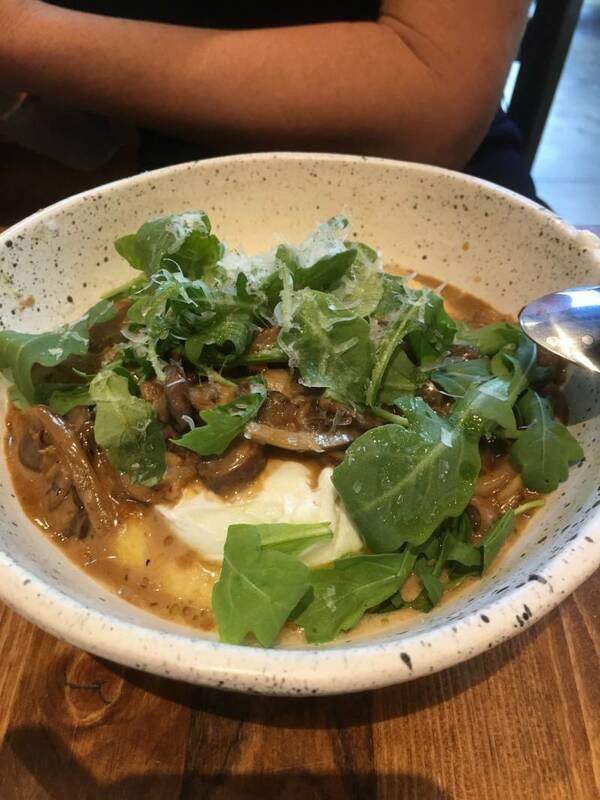 Basically, it’s a bowl of grits and a poached egg with arugula and truffle-infused mushrooms on top. This was my favorite dish of the three we ordered. I am a huge fan of truffles, and this dish’s aroma and distinctive flavor sufficiently satisfied my craving. 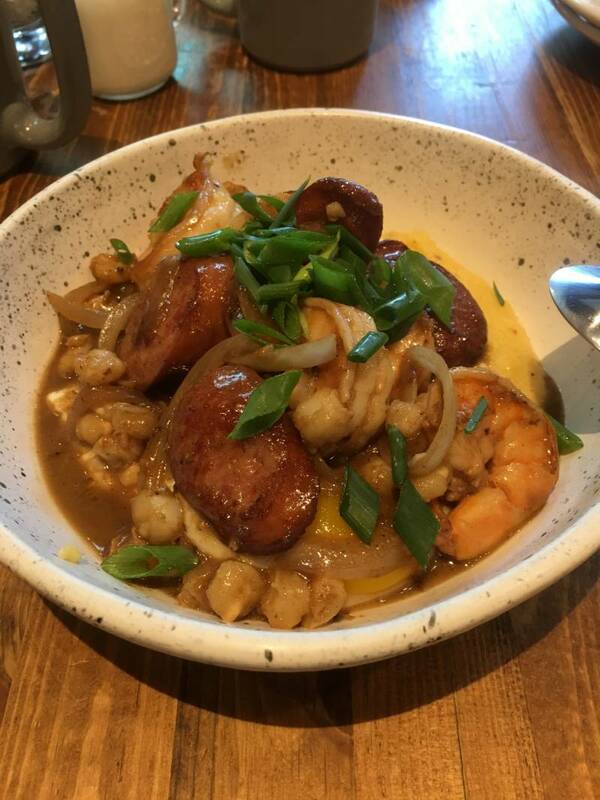 If you are going to have grits, creole-seasoned shrimp and sausage is the natural combination. This dish was extremely filling, so if you are hungry this is definitely the meal to order. The flavor was amazing; the sausage had just the right amount of spice and the shrimp was cooked to perfection. As is typical in Hawaii, a relevant restaurant cannot serve breakfast without having at least one Loco Moco option. I love the kalbi twist Scratch put on theirs. Additionally, the base is a garlic-cilantro fried rice rather than the typical white rice. 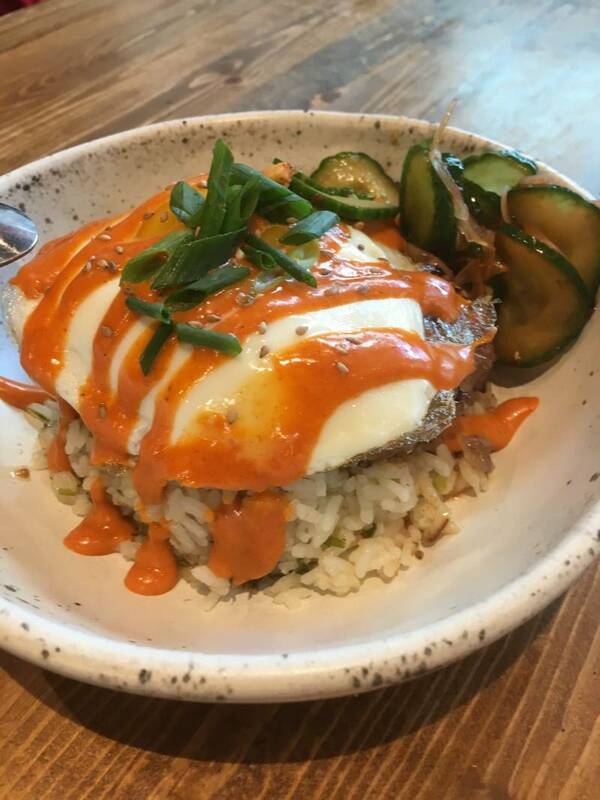 I love spicy foods (as long as they aren’t too spicy) and the gochujang aioli (fancy sriracha) sauce that they put on top is amazing. While I typically go to Whole Foods and get a salad and kombucha for lunch (you can read my blog on the new Whole Foods in Kakaako here), I decided to branch out and try something new so I sat down at Nalu inside the South Shore Market. Lately, I have been on a major beet obsession, and this salad did not disappoint. 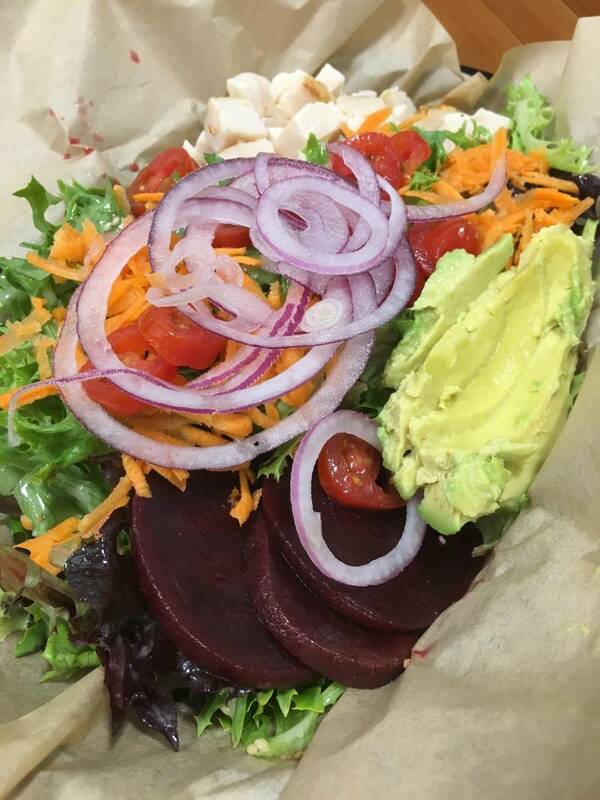 They serve the salad with a perfectly-ripe half of an avocado and three thick beet slices. The dressing is a creamy sesame which was perfect because I really can’t get into sweet salads. I did add the chicken protein to my salad and I was happy that I did. This salad kept me full all afternoon. Because I always enjoy a salad for lunch, and salads can get boring, I figured I would share my other favorite lunch spot which is Tango Contemporary Cafe. Pesto and salmon are two of my favorite things ever, so naturally, I haven’t actually tried anything else at this restaurant because I love this salad so much. They fry the salmon skin and call it “salmon bacon,” which they then crumble over the top of this salad. It is delicious with the added asparagus. 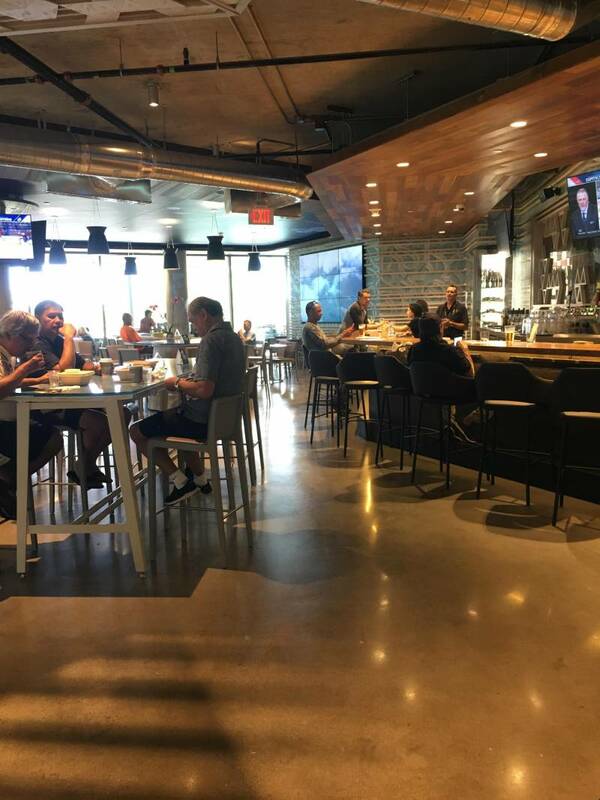 I love the Whole Foods’ bar because we can always find a seat that we like. If you are a beer drinker, I am not the person to ask. However, if you like wine… :). When I was there, they had the Justin Cabernet Sauvignon on a Happy Hour special so I ordered that. It was very good. I typically prefer a pinot noir from the Northwest, however, they did not have any when I was last at Whole Foods’ bar. Back to Scratch for Happy Hour! 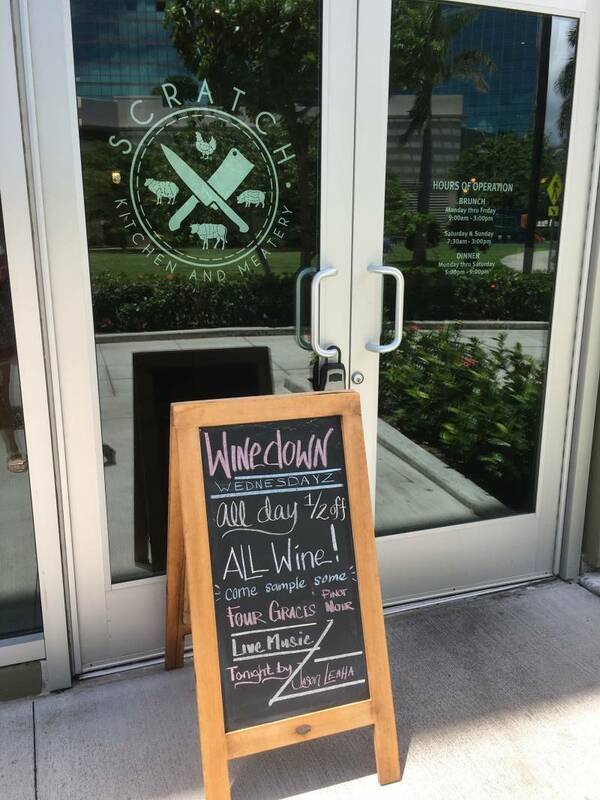 On Wednesdays, they have all wine half-off and live music. Naturally, this is my favorite. Yes, two dinners along with the two lunches. I couldn’t decide. Piggy Smalls is the newest restaurant from Chef Andrew Le in conjunction with his team from The Pig and the Lady (in Chinatown). I ordered three breads and spreads, but the most memorable was the truffle shuffle, porcini & black truffle sofrito. It was delicious. I LOVE green papaya salad. The flavors are so delicious and this one was amazing. They add sprouting seeds and nuts, which give a crunch that makes this salad seem like so much more than just a salad. A word to the wise: while this salad might not seem like a large portion, it is deceptively filling! I never used to be a fan of chicken wings until I went to a Thai restaurant up in Portland, OR (Pok Pok). The wings were to die for, and ever since then I have loved them, but only when they are made with fish sauce. Just like those I found in the Northwest, these at Piggy Smalls were reminiscently awesome, not too oily, crispy, and tons of flavor. I love Goma Tei because they make their noodles from scratch. Goma Tei’s signature ramen broth is a spicy sesame. It was very good, but after a whole bowl I was a little sesame’d out. However, because of their ramen noodles, there will definitely be a next time and I think I’ll try the shoyu ramen. Clearly, one does not go hungry in Kaka’ako! This makes it a wonderful place to live, in my humble opinion. If you want to learn more about this area, contact me! Anna Barrett is a REALTOR-Associate with Hawai'i Life. You can email me at	AnnaBarrett@HawaiiLife.com	or via phone at (808) 798-9100.